Movistar Yamaha MotoGP‘s Jorge Lorenzo gave a brilliant performance today to take second at a scorching hot Sepang International Circuit and prolong the championship battle to the final round in Valencia. 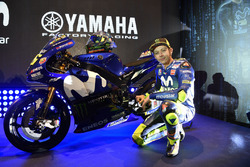 Teammate Valentino Rossi fought one of the hardest battles of his career to protect his championship ambitions and took third. He received three penalty points by the Race Direction for which an appeal to the FIM (Fédération Internationale de Motocyclisme) was rejected. ... he was playing his dirty game, even worse than in Australia. Jorge Lorenzo: "It was a very hard race. I gave the maximum to keep Dani‘s rear wheel as close as possible, but to be honest his pace had been unbelievable. He was so quick and consistent and picked up the bike in a perfect way, so it was very difficult to overtake him on braking. I could only finish in second place, which is important because we recovered points. When I saw the battle between Marc and Valentino I was really surprised because the action was huge and I have to respect race direction‘s decision." Valentino Rossi: "Marquez knows it wasn‘t red mist that caused the incident. It‘s very clear from the helicopter footage that I didn‘t want to make him crash, I just wanted to make him lose time, go outside of the line and slow down, because he was playing his dirty game, even worse than in Australia. When I went wide and slowed down to nearly a stop, I looked at him as if to say ’what are you doing?‘. After that we touched. He touched with his right underarm on my leg and my foot slipped off the foot peg. If you look at the image from the helicopter it‘s clear that when my foot slipped of the foot peg, Marquez had already crashed. I didn‘t want to kick him, especially because, if you give a kick to a MotoGP bike, it won‘t crash, it‘s very heavy. For me the sanction is not fair, because Marquez won his fight. His program is OK because he is making me lose the championship. The sanction is not good, especially for me, because I didn‘t purposefully want to make him crash, I just reacted to his behaviour, but I didn‘t kick him. You can‘t say anything in the press conference, maybe it changes something, but to me this was not fair, because I just want to fight for the championship with Jorge and let the better man win, but like this that‘s not happening. Like I said, I didn‘t want to make Marquez crash, but I had to do something because at that moment Jorge was already gone. 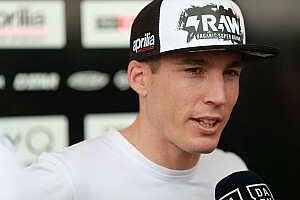 The championship is not over yet, but this sanction cut me off by the legs and made Marquez win." 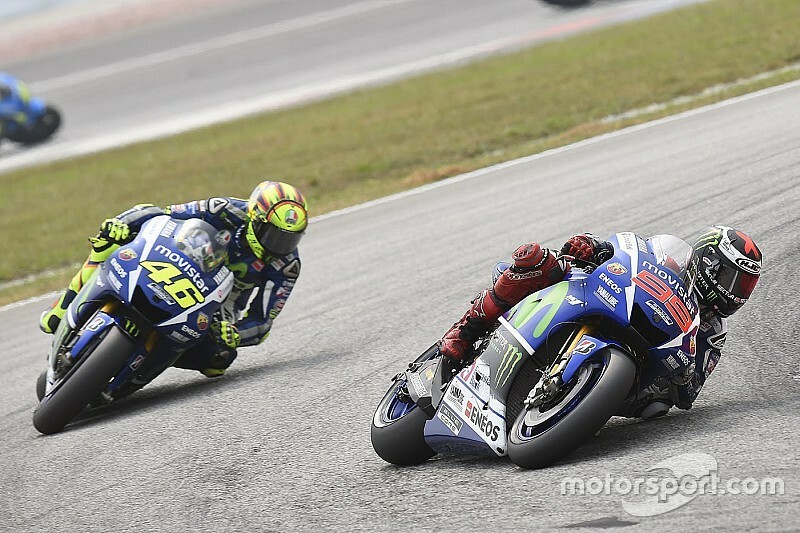 "It‘s a shame to see such a beautiful championship, that was supposed to result in one of the most exciting battles between the two Yamaha riders, be affected and almost compromised by another rider. We should be here today dealing with Jorge‘s amazing performance on track and his second place, as well as another thrilling battle among top riders but unfortunately this is not the case. 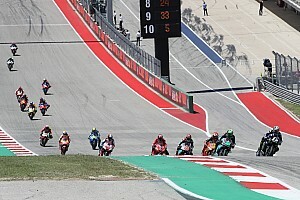 We made an appeal to the FIM stewards against the penalty issued by the Race Direction because whilst we respect the infringement, we felt 3 penalty points were too harsh. We have since heard that the appeal has been rejected. We respect this final decision."